The White House on Tuesday came to the defense of Director of National Intelligence James Clapper, after a senator blasted the intelligence official for failing to give "straight answers" on the government surveillance of Americans. President Obama "certainly believes that Director Clapper has been straight and direct in the answers he's given" Congress, White House spokesman Jay Carney said Tuesday, adding that Clapper has been "aggressive in providing as much information as possible to the American people, to the press." Clapper has come under fire for the testimony he gave before the Senate Intelligence Committee in March, when Sen. Ron Wyden, D-Ore., asked him, "Does the [National Security Agency] collect any type of data at all on millions or hundreds of millions of Americans?" 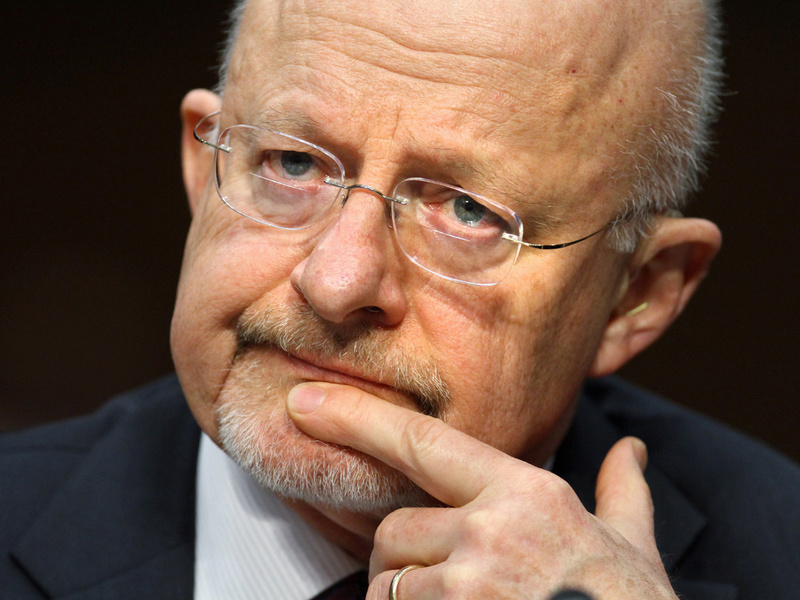 Clapper responded unequivocally, "No, sir. Not wittingly. There are cases where they could, inadvertently perhaps, collect -- but not wittingly." That contradicts the recent revelations about the NSA's collection of all of Verizon's U.S. phone records. Wyden released a statement Tuesday revealing that he gave his question to Clapper's office a day before the hearing, giving the intelligence official time to prepare his response. "After the hearing was over my staff and I gave his office a chance to amend his answer," Wyden said in his statement. "Now public hearings are needed to address the recent disclosures and the American people have the right to expect straight answers from the intelligence leadership to the questions asked by their representatives." Clapper over the weekend explained that he was trying to give Wyden "the most truthful, or least untruthful" response he could. "I have great respect for Senator Wyden," Clapper said in an interview with NBC on Sunday. "I thought, though in retrospect, I was asked-- 'When are you going to start-- stop beating your wife' kind of question, which is meaning not-- answerable necessarily by a simple yes or no. So I responded in what I thought was the most truthful, or least untruthful manner by saying no." Meanwhile, Clapper has raised some eyebrows by joking about the the controversy surrounding the NSA surveillance programs. "Some of you expressed surprise that I showed up--so many emails to read!" he reportedly joked at a black-tie event in Washington on Friday.